During this holiday season take a moment and do something wonderful. Give a donation to protect human life. A tax-deductible matching gift opportunity is currently available through the Right to Life of Michigan Educational Fund. Online donations up to $50,000 will be matched until December 31, 2011. Special effort is needed to give a donation, but the success of the prolife movement cannot be realized without you. Together we are the voice for life at its weakest moment: when a person is preparing to be born. You may never meet the children you help save, however the value of your donation truly cannot be measured. A new study published in the journal Nature found that up to 1/5 of embryonic stem cell lines developed abnormalities after a year. This genetic abnormalities make the cells prone to becoming cancerous. This is more evidence pointing to the difficulty in scientists ever being able to safely transfer cells created from embryonic stem cells into human patients on a large scale. Shining a light for life is what Right to Life of Michigan does best. We educate on life issues because we know that abortion is darkness. Abortion hurts women. 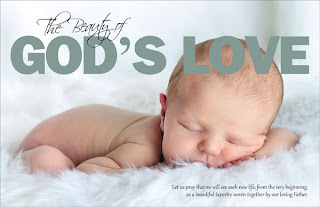 With every abortion, one heart is stopped and one heart is broken. Your generous donations help us save lives by providing access to resources for mothers and families in need. A tax-deductible matching gift opportunity is currently available through the Right to Life of Michigan Educational Fund. On line donations up to $50,000 will be matched until December 31, 2011. Please consider including Right to Life of Michigan Educational Fund as part of your year-end giving. Your financial gift will be doubled! Please consider a tax deductible donation today and shine your light for life! Let's eradicate the darkness of abortion together! Michigan's prolife Attorney General Bill Schuette announced earlier today that two abortion clinics in Michigan will be closed permanently. The Lansing Health Care Clinic and Saginaw Women's Choice Clinic were temporarily closed by the order of an Eaton County judge earlier this month after Schuette accused them of operating illegally because neither was incorporated by a medical professional. 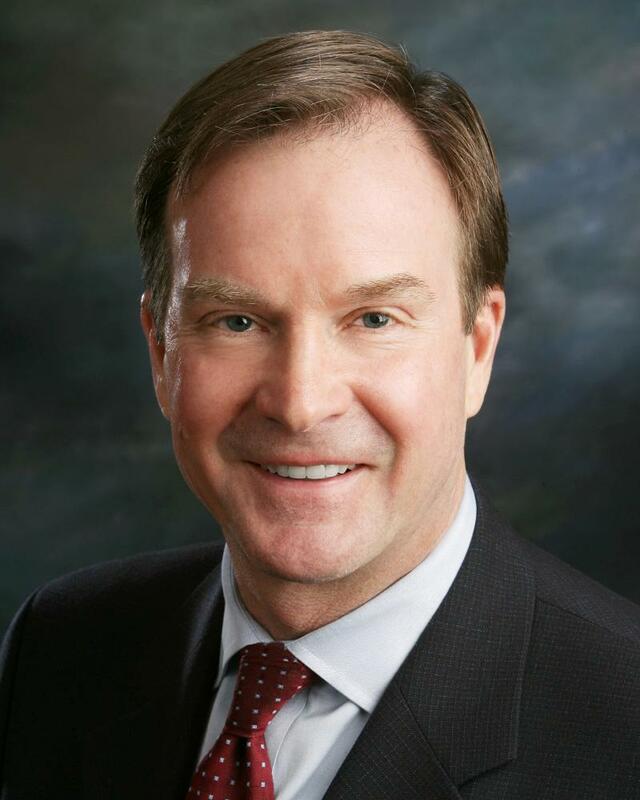 A pair of abortion clinics in Saginaw and Delta Township near Lansing which were targeted earlier this month for allegedly improper operations by Michigan Attorney General Bill Schuette have closed their doors permanently, Schuette announced this afternoon. The Lansing Health Care Clinic and Saginaw Women's Choice Clinic were dissolved by clinic owners Richard and Margaret Remund under the terms of an agreement filed with the Eaton County Circuit Court, Schuette said. Schuette said the Remunds also are barred from ever organizing another abortion clinic. The two clinics were accused of operating outside of state law because neither was incorporated by a licensed medical professional. Schuette also filed a complaint with state licensing authorities over what he said was improper disposal of patient medical records. In the Weekly Standard, Wesley Smith writes about the shutdown of Geron's human embryonic stem cell experiments and the media's response to this news compared to the media's response to previous news promoting Geron's embryonic stem cell program. No one should be surprised by the double standard. The media have always been in the tank for embryonic stem cell research, often breathlessly reporting hype and spin from company PR spokesmen as if it were hard news. This approach sprang largely from the media's antipathy for the pro-life movement, the most prominent opponent of research requiring the destruction of human embryos. Alexander Tsiaras, the author of From Conception to Birth: A Life Unfolds, present a video he helped develop which shows a visualization of the unborn child's development from conception to birth. The video showing the development starts at around 2:00 and ends at about the 6:00 in the video below. An interesting new study in mice showed that cells from the placenta of unborn mice go to help the injured heart of their mothers. In the study, researchers induced heart attacks in pregnant mice and then checked a week or two later to see if the fetal cells had transferred to the mother. To make the fetal cells easy to spot, they were genetically tagged with green fluorescent protein (GFP). "Much to our surprise, they homed selectively and specifically to just the injured zone of the maternal hearts, not the non-injured zones, and not to non-injured organs within the same mouse," said Hina Chaudhry, M.D., senior author of the study and a cardiologist at Mount Sinai Medical Center in New York City. Two weeks after the animal's induced heart attack, fetal cells comprised 2 percent of the maternal heart. Furthermore, the fetus-derived cells differentiated into heart muscle cells and cells that form blood vessels or the inner lining of blood vessels and other organs. The authors are helpful this research could eventual lead to use of placental cells in the treatment of heart ailments. Detroit News columnist Laura Berman thinks letting women decide how the remains of their miscarried children are treated "steals dignity from women"
Laura Berman, a pro-abortion columnist for the Detroit News provides a very weak argument against prolife legislation which recently passed the Michigan Senate by an overwhelming 33-5 vote. The bill would require the remains of unborn children who are aborted or miscarried to be disposed of in a dignified manner. The bills were introduced last year after the remains of aborted children were found in an abortion clinic's dumpster. Berman argues the bills "impose a new opportunity for grief" on women who miscarry because women who miscarry at 10 weeks or later would have to sign a form indicating whether they want the remains of their unborn children to be buried, cremated or interred. Amazingly, Berman thinks women should have the completely unrestricted ability to have abortions but women shouldn't be able to choose how they want the remains of their unborn children treated. Wouldn't most women who miscarry be more traumatized not knowing how the remains of their unborn children were treated? Isn't it empowering to allow women to decide how their children's bodies are treated? Apparently, the decision to have an abortion is the only decision Berman views as empowering. Berman's opposition to this bill is incredibly radical. Only 5 Michigan senators voted against this legislation. A number of Michigan senators (Sen. Glenn Anderson, Sen. Morris Hood, Sen. Vince Gregory and Virgil Smith) who typically oppose any kind of prolife legislation voted in favor of this legislation. In her column, Berman never mentions the results of the Senate vote. Geron, one of the leading companies hoping to use human embryonic stem cell to treat human patients announced yesterday that it was abandoning its research using embryonic stem cells. Geron was the first company to have a federally approved clinical trial using embryonic stem cells to treat human patients. That clinical trial is being stopped and none of the patients have showed any signs of improvement. In a statement, the company said the decision to narrow its focus "was made after a strategic review of the costs, ... timelines and clinical, manufacturing and regulatory complexities associated with the company's research and clinical-stage assets." Paul Greenberg, a syndicated columnist, shared the acceptance speech he gave when he received the Human Life Foundation's annual Great Defender of Life award. He discusses how he switched from being in favor of legal abortion to being prolife. With a little verbal manipulation, any crime can be rationalized, even promoted. Verbicide precedes homicide. First dehumanize the other, then anything is permitted. Vocabulary remains the Little Round Top, the decisive position, of every polemical engagement. The trick is to speak of fetuses, not unborn children. So long as the victims are a faceless abstraction, anything can be done to them. Just don't look too closely at those sonograms. The way I studied the first pictures of my first grandson. Astounding. We are indeed strangely and wonderfully made. By now the toll has reached some 50 million of those wondrous creations aborted in America since 1973. That's not some abstract theory or philosophical argument. It is a fact, and facts are stubborn things. Some even carry their own imperatives, moral imperatives that can be ignored only so long. So I changed my mind, and changed sides. Michigan's prolife Attorney General Bill Schuette recently filed a lawsuit in Eaton County Circuit Court to permanently close two abortion clinics in Michigan. The lawsuit is focused on Health Care Clinic near Lansing and Women's Choice Clinic in Saginaw. The clinics have been operating for years as for-profit medical facilities without a licensed medical professional in charge. The owner of the clinics is not a medical professional and state law requires for‑profit corporations which provide medical care services to be run by licensed medical professionals. The Attorney General’s office is also moving to prevent the current abortion clinic owner from ever owning another for-profit medical facility. Schuette said, "To ensure accountability and patient safety, Michigan law requires medical facilities to be incorporated with a licensed medical professional at the helm. Strict enforcement of the law ensures medical clinics cannot put profit ahead of responsible patient care." In response to the lawsuit, Eaton County Circuit Court Judge Calvin Osterhaven signed a temporary restraining order (TRO). The clinics must remain closed until the date of the first hearing in the case. The hearing was scheduled for November 21, 2011. Schuette has also asked the State Bureau of Health Systems to look into evidence which suggests 50 percent or more of the procedures performed at the clinics are abortions. If more than 50 percent of their procedures are abortions, the clinics must be licensed under the Public Health Code as freestanding surgical outpatient facilities. Freestanding surgical facilities require a license which contains more stringent state regulations designed to protect patients. These abortion clinics were previously in the news in 2010 when the remains of 17 aborted children were found in a trash dumpster outside the Lansing-area abortion clinic along with the full names of female patients on clinic paperwork. In response to this discovery, state legislators have written legislation to ensure the humane disposition of the remains of aborted children. This legislation passed the State House on October 20. The discovery of the aborted children also prompted the Attorney General’s office to launch an investigation which uncovered evidence the abortion clinics were improperly incorporated and may have broken additional state rules. Right to Life of Michigan President Barbara Listing said, "I laud Attorney General Schuette for following the law and pressing charges against these two abortion businesses. Those involved in the occupation of abortion are not above the law. Our attorney general has uncovered violations which should result in Health Care Clinic and Women's Choice Clinic being shut down." Right to Life of Michigan will continue to follow this lawsuit and will provide information when the Court enters a judgment in the case. For more information about this case and the prolife laws to regulate these law-breaking abortion clinics, visit Right to Life of Michigan at www.rtl.org. A new technique to measure brain activity in patients diagnosed as being in a persistent "vegetative" state continues to show evidence that many PVS patients could actually be misdiagnosed and aware. Many court cases and controversies have arisen over withdrawing medical care, food or water from PVS patients like Terri Schiavo to end their lives. The results and similar findings could also provide crucial insights into human consciousness — one of the most perplexing scientific puzzles — and lead to ways to better provide diagnoses and possibly rehabilitate brain-injury patients, the researchers said. Michigan's prolife Attorney General Bill Schuette filed a lawsuit in Eaton County Circuit Court to permanently close two abortion clinics in Michigan. The lawsuit is focused on Health Care Clinic in Delta Township and Women's Choice Clinic in Saginaw. In response to the lawsuit, Eaton County Circuit Court Judge Calvin Oosterhaven signed a temporary restraining order (TRO). The clinics must remain closed until the date of the first hearing in the case. A hearing is scheduled for November 21, 2011. Right to Life of Michigan's 2012 Sanctity of Human Life Sunday bulletin inserts are now available! They're only $7/100. Our SOHLS web page provides a means of ordering these bulletin inserts along with a variety of other resources for SOHLS, including presentations, faith resources, SOHLS activities, resources for leaders, information on bus trips to the March for Life and luminary candle kits. Schuette also said he asked state licensing officials to investigate what he said was evidence the clinics were improperly licensed because more than 50% of their business activity was abortion and they were not licensed as freestanding surgical outpatient facilities. The clinics also appeared to have improperly disposed of medical records, Schuette said. Michigan's prolife Attorney General Bill Schuette filed a lawsuit in Eaton County Circuit Court to permanently close two abortion clinics in Michigan. The lawsuit is focused on Health Care Clinic in Delta Township and the Women's Choice Clinic in Saginaw. Right to Life of Michigan will continue to follow this lawsuit and will provide information when the Court enters a judgment in the case. The cover story of the current issue of the Weekly Standard is an article by Fred Barnes entitled "Hidden Persuaders" which discusses the gains of the prolife movement in recent years. Several contests and scholarships are available for prolife students (other than our annual Oratory Contest and Youth Award of course). Information for these contests and deadlines can be found on our website. The next deadline is December 2, for an essay, poetry and poster contest sponsored by the March for Life Education and Defense Fund. The different interests and passions of our diverse society are made possible by LIFE. This 30-second spot celebrates the simple fact that LIFE = OPPORTUNITY. Little Rascals is currently airing statewide in Michigan.